This presentation is optimized for OpenOffice, but will work in Microsoft Powerpoint. 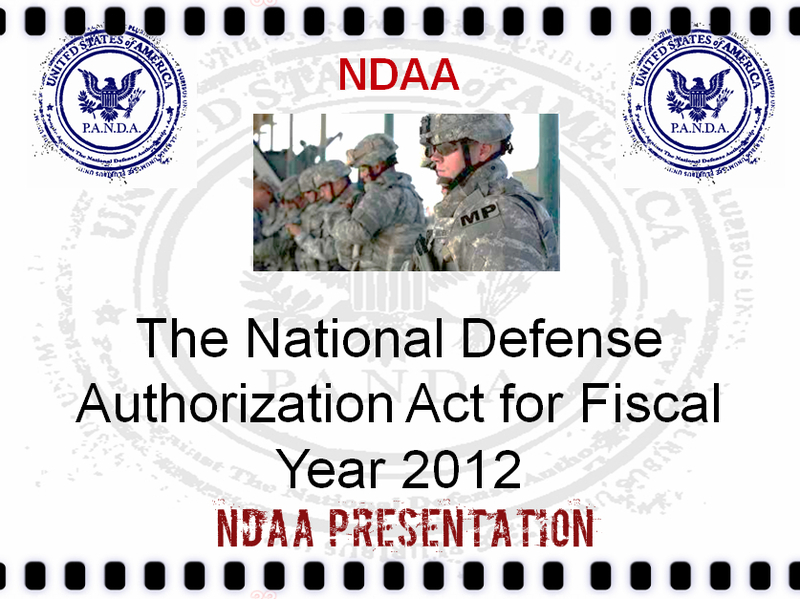 It combines the best knowledge, legal analysis, and explanation on the NDAA’s detention provisions, as well as how it affects you, into one simple slideshow. Feel free to distribute, or show to a group, legislator, military veteran, federal agent or peace officer.